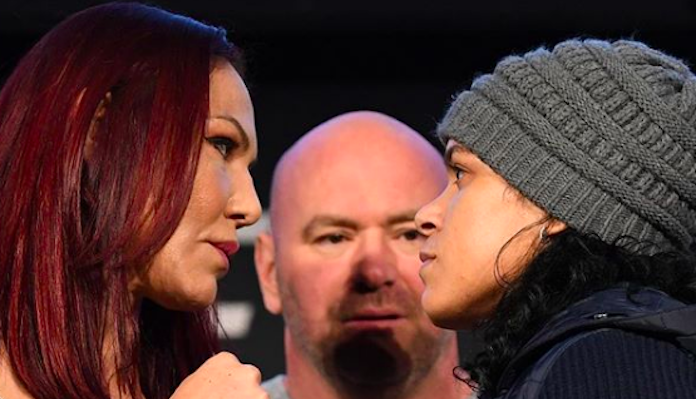 UFC 232 was co-headlined by a veritable women’s MMA super fight, as long-time featherweight champion Cris Cyborg attempted to defend her title against destructive bantamweight champion Amanda Nunes. This one was over fast — and contrary to the odds. Pegged as a huge underdog, Amanda Nunes rose to the occasion in unimaginable style, and flatlined the long-time featherweight champion in the very first round. The pair began exchanging early, and it was Nunes who drew first blood. Cyborg was visibly wobbled, and Nunes did not let up. A few followup punches later, and Cyborg was face down on the canvas, out like a light. It took just 51 seconds.